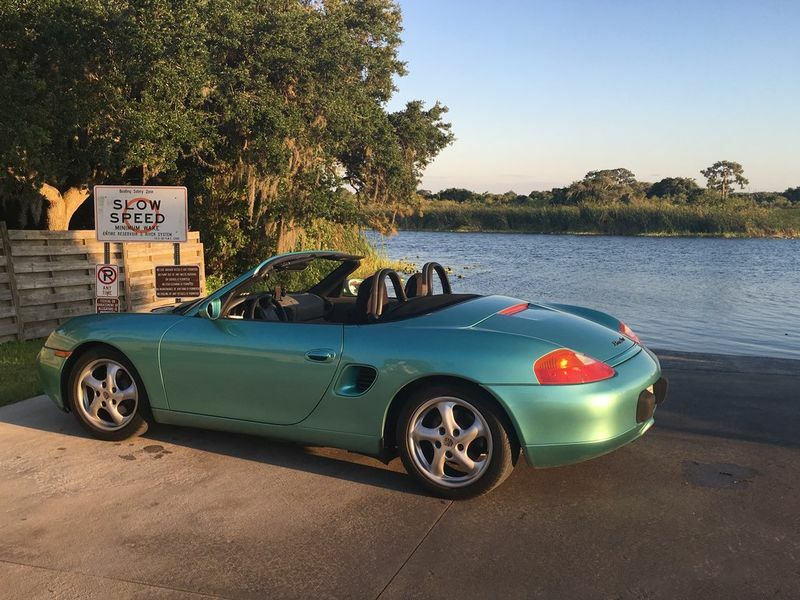 a funny thing happened on the way to buy a 993 cab in sarasota, i ended up with a 99 boxster. condition, history, put me in the behind the wheel. i'd never driven a boxster and after road testing the 993 with its typical 911 quirks, i thought the boxster handled better. it followed me home. Congrats and welcome! She's purrrty, love the colour! Welcome, Joe. I agree, nice color - Ocean Jade, I think - and not that commonly seen. Very nice, congrats and welcome I love the Sarasota area, enjoy! Wish there were more commonly seen colors other than black, blue, silver, and yellow. thanks to this forum, learning some great info.